As early as a couple of years ago (especially after the IUCN study) it was obvious that India’s forests had reached a crisis point. Our top predator, the Bengal Tiger (Panthera tigris) was at a population nadir. The known numbers of tigers had been suddenly found to be less than half of what it should be. Even more frighteningly, in certain important tiger zones like Sariska, the tiger has completely disappeared. The extinction of our tigers stares us in the face. Those of us who frequent the forests and who regularly participate in animal censuses have known for quite some time that the forests are deteriorating and that we have been steadily losing the battle to preserve and protect what very little is left. 1) Long term forest dwellers, the tribals and the Forest Department personnel in each forest, get to know their animals very well indeed. Larger animals like the elephants and certainly both the leopards and the tigers in each of our forests are easily recognisable and identifiable as individuals. 2) The census methods used in the past, though rough and ready, are yet certainly scientific enough. When censuses are based on physical evidence such as scats and plaster casts of paw prints then there is absolutely no way that someone can claim that the populations so determined are in inferior to that of phototrapping. I would argue that in fact the phototrap is a ridiculously unscientific way to determine absolute populations when compared to the older methods! In fact we are left to surmise that if one takes the trouble to go through the physical evidence that had been gathered over so many years of painstaking censusing, the conclusion that our tiger populations have long been declining steadily and quite drastically will have to be reached. The problem then lies with the MOEF/state Forest Departments’ perennial habit of inflating the actual counts in order to satisfy the powers that be, and in order to pacify the many and vociferous critics of the government’s many inadequacies in this regard. In other words they have been cheating on the numbers for quite some time, and quite systematically too, and now that they have finally been caught out, the easiest recourse has been to point the finger at the supposedly faulty methodology of the past. But why has the tiger declined and is it only the tiger that is in trouble? A case in point in the present instance is the debate on allowing forest dwellers to continue to occupy their niches within the confines of the many forests of our land. Persuasive voices say that here is a major factor in the degredation of our prime habitats. There are many other factors too. Take a look at the great number of private estates that sit squarely within our forest areas. They are certainly doing their bit to destroy the forests around them for one thing, with their use of fertilizers and pesticides and for another the exploitation, contamination, and pollution of the forests’ precious water resources are all having a disastrous impact. Then we have our MOEF’s penchant for suddenly granting mining and even forage/fodder licenses in our few remaining forest areas. They will then even come up with environmental clearances for these absolutely destructive projects and all in the name of ‘development’! But these issues, though important, are not yet the worst of the culprits. The forests as a whole are under great threat due to lopsided and simplistic mismanagement over many decades. We know that our hardwood trees are being poached along with our sandalwood. 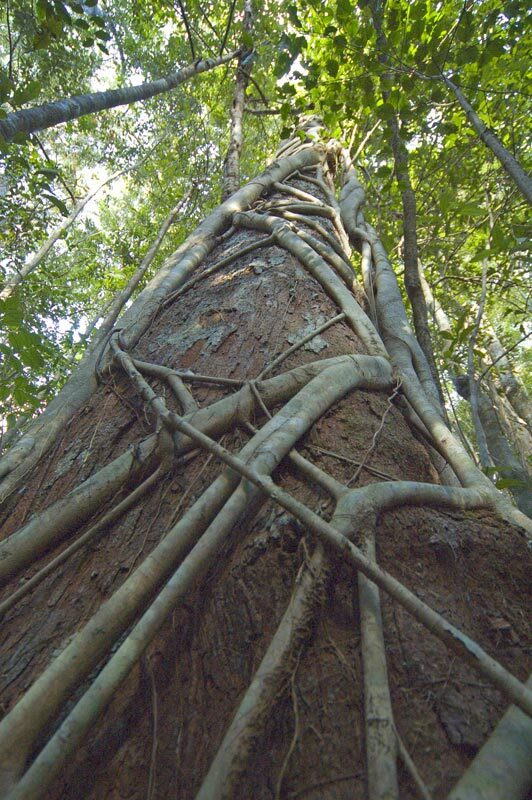 Trees such as the rosewood and mahogany are simply never seen within our ‘Reserve’ or National Park Forests. If we can’t protect these huge trees that are so difficult to transport out (where the take per tree is less than 200,000 rupees now for the illegal logger) , then where is the question of our being able to protect our leopards and tigers? A tiger will earn a poacher not less than a million rupees and all that it takes is a well placed wire trap or some poisoned bait – and a buyer. In other words, if we cannot protect our trees, there’s no way that we can claim to be adequately protecting our precious tigers. 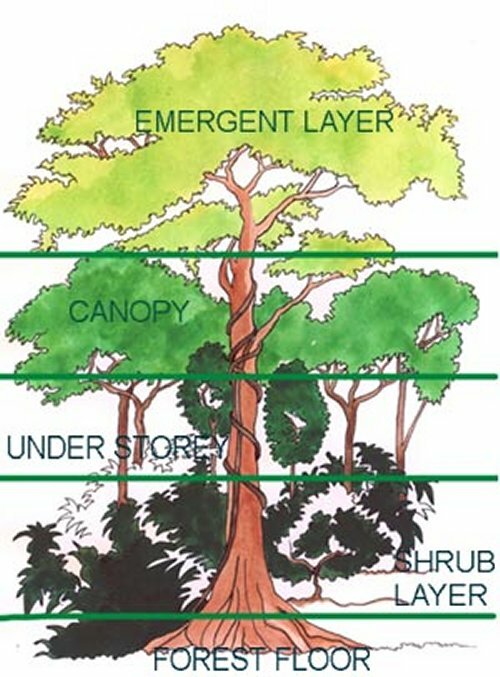 Combine the loss to poaching with the ridiculously bioinverse policy of planting large tracts of monocultures of “economically important” species such as teak or bamboo – and of course these then have to be harvested – and you do indeed begin to have the recipe for the disaster that now faces us. Once the forest’s precious tree diversity is gone, the forest itself gets degraded and becomes a poorer and poorer habitat that will soon not be able to support top predators like the tiger. Biodiversity is undermined at all levels. Other critical animal populations, notably the elephant and bison, will then have to start wandering out of the ‘protected’ zones in search of food and water, and that will lead to increasing incidences of man-animal conflicts in the forest’s surroundings. One final point for today’s debate: The earmarked, and presently “protected”, territory is very inadequate. 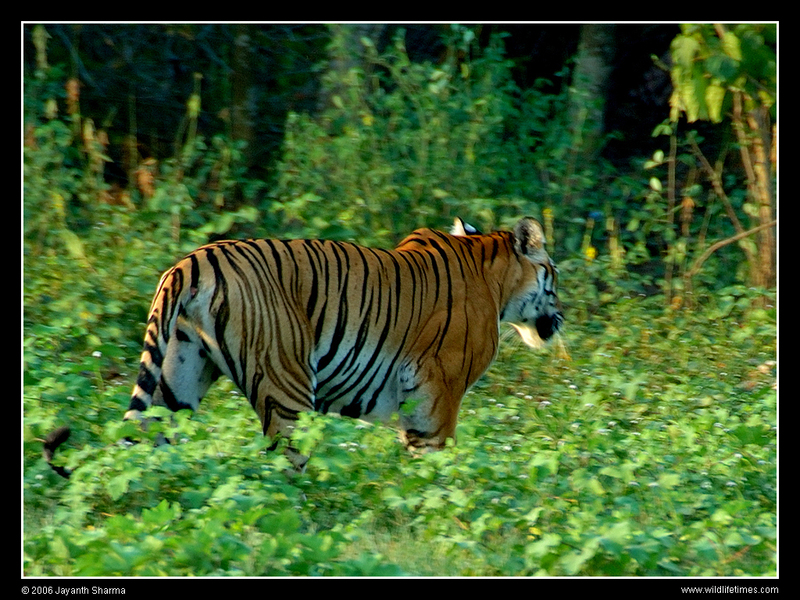 Tigers roam over a huge areas of range. They spread out so that they do not much have to encounter one another. I have seen two wild tigers while hiking in scrub jungle, well outside the confines of the nearest reserve forest. Clearly we need to expand the buffer zones around the core areas of our remaining tiger populations. We also have to eventually find the funding to fence the forests and forest denizens in (and the poachers out). In the meantime, if we can start by adequately expanding the buffer areas and perhaps even provide linking corridors between nearly contiguous stretches of forest, this in itself will start to make a fantastic difference! Environmentalists and forest watchers who care and who have raised their voices of protest have been silenced by committees of armchair scientists, most of whom have never even seen a real live wild tiger to speak of. It’s up to us now, the common folks of this great land of the erstwhile Royal Bengal Tiger, to keep the issues alive and to make the careless of officialdom accountable for the precious heritage that they are allowing to be destroyed before our very eyes. Make the protection of our forests a major issue of national importance. Make a note of whom the current union and state ministers of Forests and Environment happen to be, and track their performance and the quality of their decision making very carefully. At the first sign of bad decisions, let the concerned party know that the mis-steps have been noted and will be issues to be discussed by the public (thats us!). Publicise (write to the editor or to an investigative journalist of your local paper), document, and protest each and every incident of forest abuse that you see or find out about. Get personally involved; participate in censuses, take up projects to help forest tribals become independent of the forests, talk to your friends about the plight of our forests and encourage one another to become activists for the sake of saving the little that still remains. This was first posted at Ponnvandu, and has now been slightly modified here. The issues are broad and of great importance so I’ve posted most of that article here. 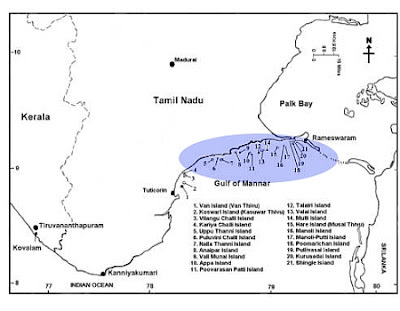 The Gulf of Mannar lies just East and South of the temple town of Rameshwaram on the S.E. coast of India. The region has been declared a biosphere of great importance to the entire Indian Ocean and was the very first declared UNESCO recognised biosphere reserve (1989). 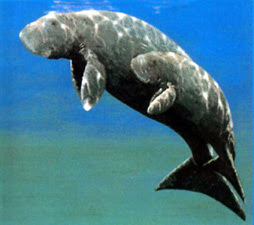 It may well qualify as the world’s richest area of marine biological resource. There is a particularly rich diversity of ecological niches including 21 uninhabited islands, with estuaries, beaches, forests of the nearshore environment, with marine algal communities, sea grasses, coral reefs, salt marshes and mangroves! There is a combined flora and fauna of more than 3,600 species represented here within an area of 10,500 sq km. 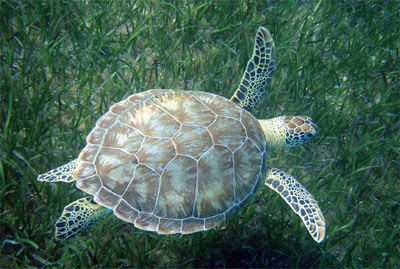 Many of these species are endemic to this particular area of shallow ocean and include a number of critically endangered species (see the Red List). Just one example on the island of Kurusadai, less than a kilometre from the Indian mainland, is the world’s one and only outpost of a subspecies of Ptychodera – a hemichordate (‘acornworm’) found nowhere else! New species and subspecies are constantly being ‘discovered’ in this area while simultaneously a number of previously common endemics seem to have completely disappeared. Right through the heart of this precious and already highly stressed zone, our wise government proposes to carve out a channel, wide and deep enough to allow large, ocean going vessels easier access to India’s ports. The ships will therefore be able to completely bypass the trip around Sri Lanka. The Tsunami did its share, coming as a boon to the promoters of the ‘S’ project because the native fisherfolks, who were the most vociferous objectors, have been effectively driven from their villages and are reduced to living off handouts. And this does not take into account the coastal population on the other side of the gulf where lies Sri Lanka (Ceylon), who are even worse off due to the ongoing civil war there that compounds the devastation left by the Tsunami. 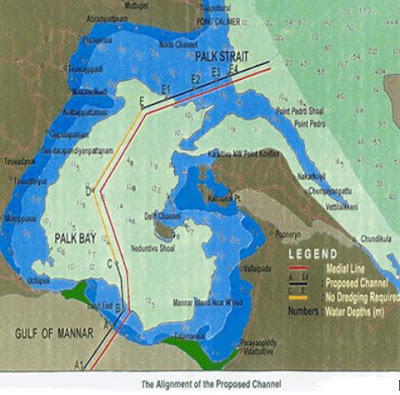 The Sethusamudram project further calls for continuous dredging of this canal which will result in huge quantities of silt continuously being spread throughout, destroying not only sea grass but corrals and algal growth also. The algae,plants, and corrals are the backbone of the whole food chain – with all opposition silenced we are staring at a scenario of total destruction of entire livelihoods, habitats and ecosystems. The fact is that organised overfishing and almost no protection for the fragile reserve has already resulted in massive destruction of corral and mangrove, the two most precious ecosystems, which together account for 90% of the area’s biodiversity. Unrestrained blasting and harvesting of corral to feed hungry cement plants, overfishing mainly due to the extensive use of trawlers by multnationals (for export) and specific destruction such as the targeting of sea cucumbers, ornamental fish, crustaceans (prawns, lobsters, crabs), turtles and sharks (both for soup! ), have all taken a heavy toll on this unique and irreplaceable “biosphere”. Perhaps most shocking is the studied silence of the U.N. and almost all organisations involved in promoting conservation / biodiversity. Our government claims to have extensively studied the project’s environmental impact but in the face of their winking at the daily destruction one wonders what it is that they have been claiming to conserve! The fact is that mega projects like this one mean mega bucks for all the private and governmental players. In the face of such gross shortsightedness (not to mention greed), the world’s bioinversity can only multiply apace.